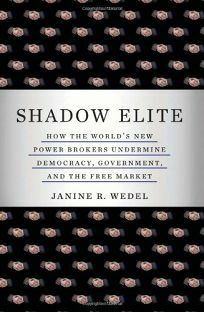 Using her expertise in Eastern European communist governments, author and public policy professor Wedel (Collision and Collusion) has pulled together a shocking expose of those dismantling U.S. democracy from the inside. Labeling the new breed of U.S. political operators ""flexions,"" she finds individual roles as lobbyists, government insiders or elected officials converging into a single network ""snaking through official and private organizations, creating a loop that is closed to democratic processes."" Wedel shows how a core group of flexions (neo-conservative cold-warrior Richard Perle, retired four-star army general Barry R. McCaffrey, Obama financial advisor Larry Summers, etc.) have risen to power on an unprecedented confluence of four transformational 20th and 21st century developments: government outsourcing and deregulation, the end of the Cold War, the growth of information technologies, and ""the embrace of &apos;truthiness.&apos;"" By wearing several hats simultaneously (think tanker, retired military or government official, corporate representative, ""objective"" expert), Wedel shows how a flexion can gain extraordinary insider knowledge and influence in order to custom-tailor a version of the ""truth"" benefitting the highest bidder. In this way, they not only ""co-opt public policy agendas"" but ""craft policy with their benefactors&apos; purposes in mind."" This fascinating, authoritative wake-up call should satisfy any American who wants a handle on the republic&apos;s most successful agents of corruption.